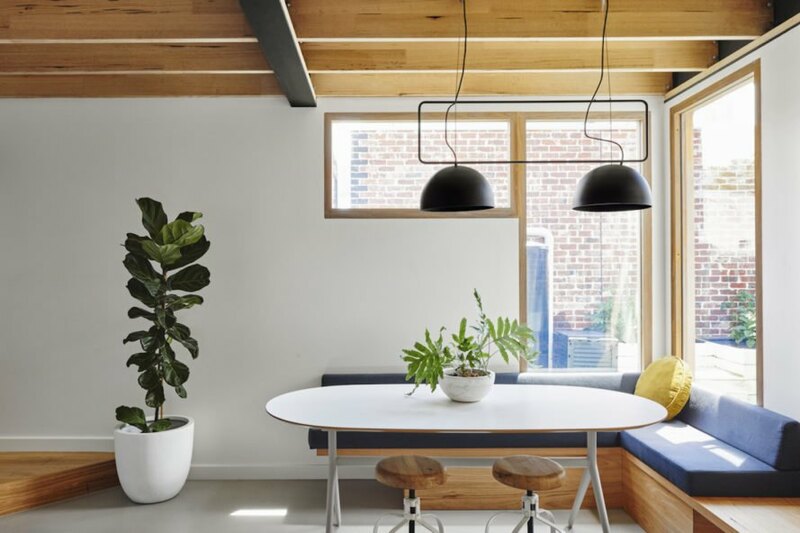 When Altereco Design was approached to overhaul a hundred-year-old worker’s cottage in Melbourne, the clients asked that the renovation leave as small a carbon footprint as possible. As a result, the home—called Melbourne Vernacular—sports a stylish and sustainable redesign that combines recycled materials and modern aesthetics. Located in the inner-western suburb of Yarraville, Melbourne Vernacular retains much of its original structure. 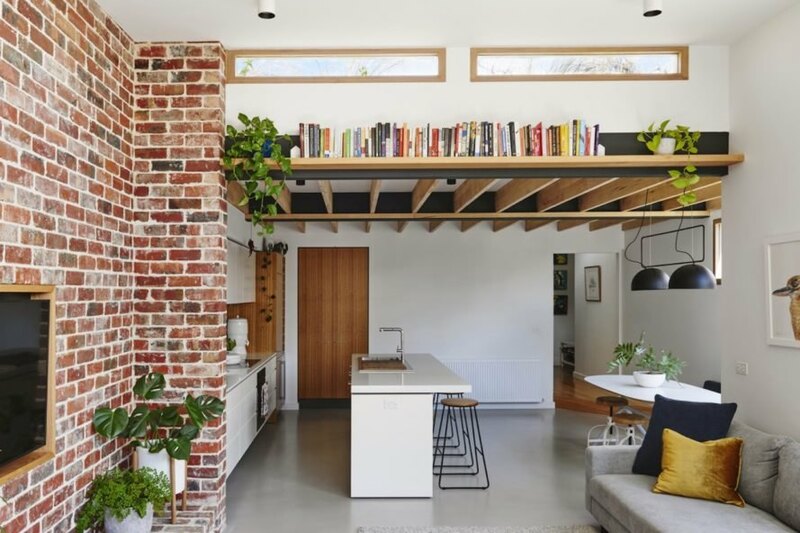 The original red brick paving from the backyard was salvaged as an internal feature wall and an external brick wall—doubling as thermal mass for the building—while the original Bluestone foundations and paving found new life as front paving. Local company Cantilever Interiors designed the kitchen, which features Cosentino’s line of ECO countertops made with 80% recycled content and a low-VOC finish. 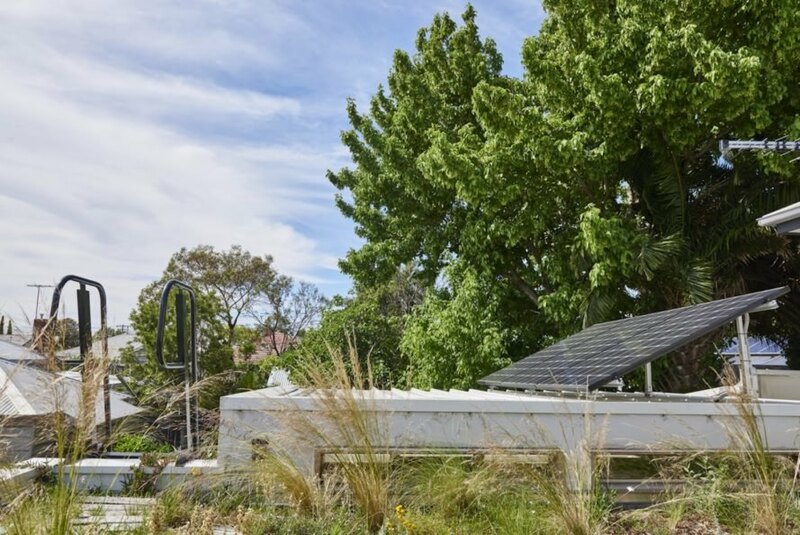 A new insulating green roof tops the home and is complemented with drought-tolerant and native plant gardens. “This industrious approach to build and design reduces associated wasted energy (often synonymous with demolishing the old and building something shiny, modern and new), all the while successfully preserving and celebrating the certain charm that comes with a house of this era,” explained the architects. 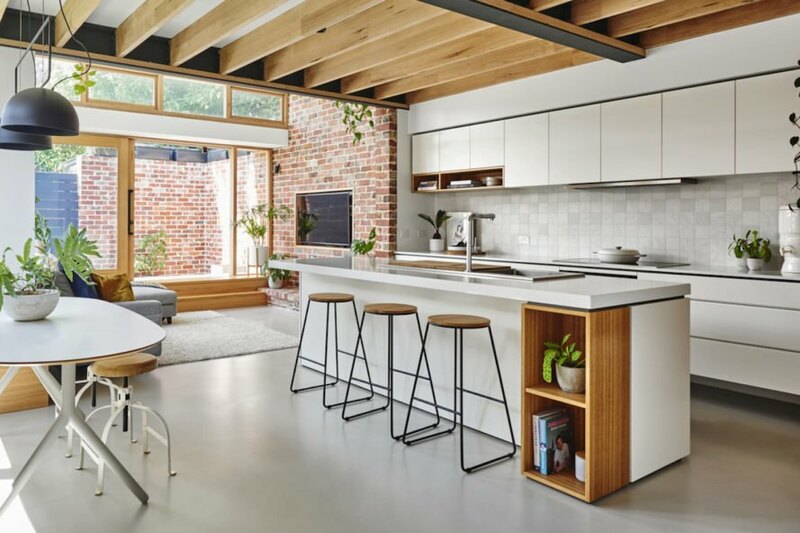 The original red brick paving from the backyard was salvaged as an internal feature wall and an external brick wall—doubling as thermal mass for the building—while the original Bluestone foundations and paving found new life as front paving. 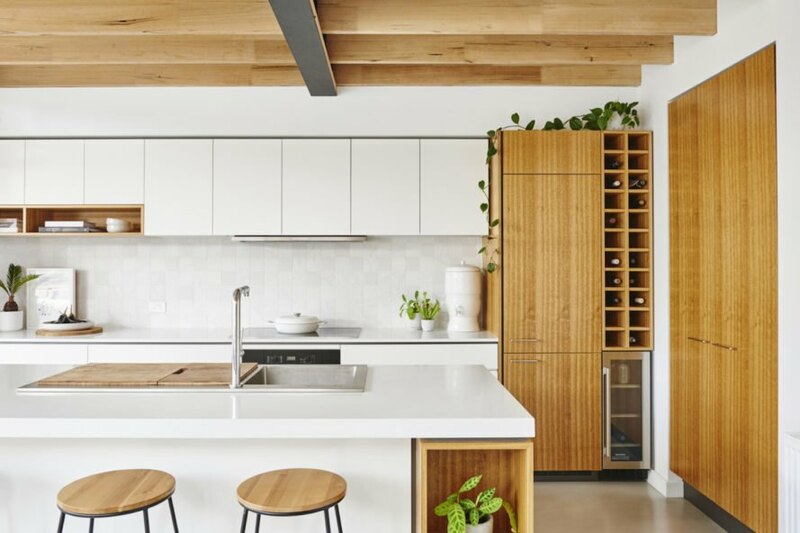 Local company Cantilever Interiors designed the kitchen, which features Cosentino’s line of ECO countertops made with 80% recycled content and a low-VOC finish. 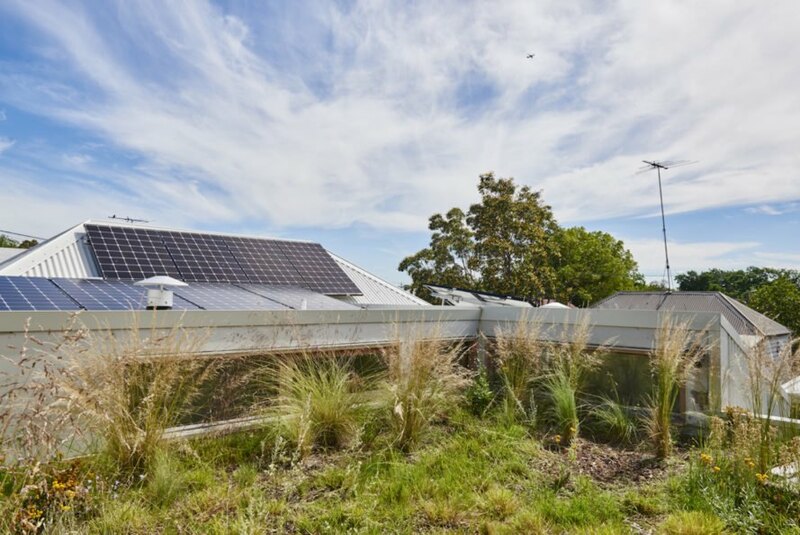 A new insulating green roof tops the home and is complemented with drought-tolerant and native plant gardens. “This industrious approach to build and design reduces associated wasted energy (often synonymous with demolishing the old and building something shiny, modern and new), all the while successfully preserving and celebrating the certain charm that comes with a house of this era,” explained the architects.